Professor Nathan’s seminar, “Understanding the Evolution of Soot in Turbulent flames: Progress and Challenges,” described recent work at The University of Adelaide, and elsewhere, to advance understanding of the evolution of soot in turbulent flames. Gus discussed the development and application of planar laser diagnostics techniques to provide new understanding of turbulent flames with soot. In particular, he described the use of two-line atomic fluorescence (TLAF) of indium along with planar imaging and planar time-resolved laser induced incandescence to measure primary particle size, soot volume fraction, and temperature. These methods were applied in flames that were carefully designed to also be suitable for model development and validation to allow new insights to be gained from joint investigations with collaborators in computational fluid dynamics. Gus also presented how the recent application of these methods in soot-radiation interactions can be applied to concentring solar thermal hybrid reactors, an exciting emerging technology. 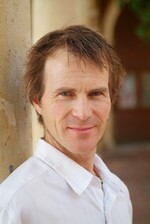 Professor Nathan is the founding Director of The University of Adelaide’s Centre for Energy Technology. Under his leadership the Centre has identified novel approaches with strong potential to make a breakthrough in the delivery of low-cost, clean energy technologies and has engaged with partners spanning industry, international research institutions and government agencies. Professor Nathan specializes in thermal energy engineering in systems supplied by solar, geothermal and the combustion of fossil and bio-fuels, but also works with hydrogen, wind and wave power. He was principal leader of the Chief Design Team for the award winning fuel and combustion system for the Sydney Olympic Relay Torch and was co-inventor of the patented combustor that was subsequently also used in the torch and Stadium flame for the Athens Games. In partnership with other leading researchers in the CET, he has worked to establish a leading laser diagnostics facility at Adelaide. This facility specializes in providing new understanding and data for model development and validation in turbulent systems of relevance to energy systems, notably in turbulent reacting flows with particles including soot and with combined radiation and convective heat transfer.